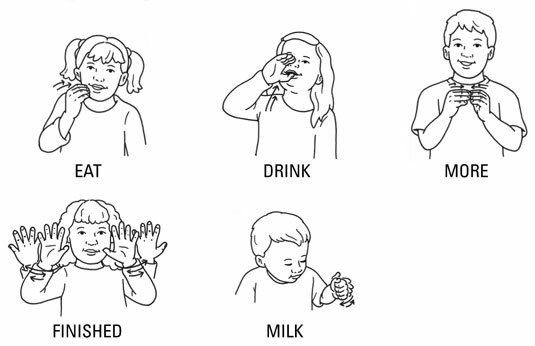 Mealtime signs can prevent frustration for babies and toddlers (and you!) if they know how to express their needs. Baby signing during meals means less cleanup time (no more mushy peas on the walls) and a happier baby.